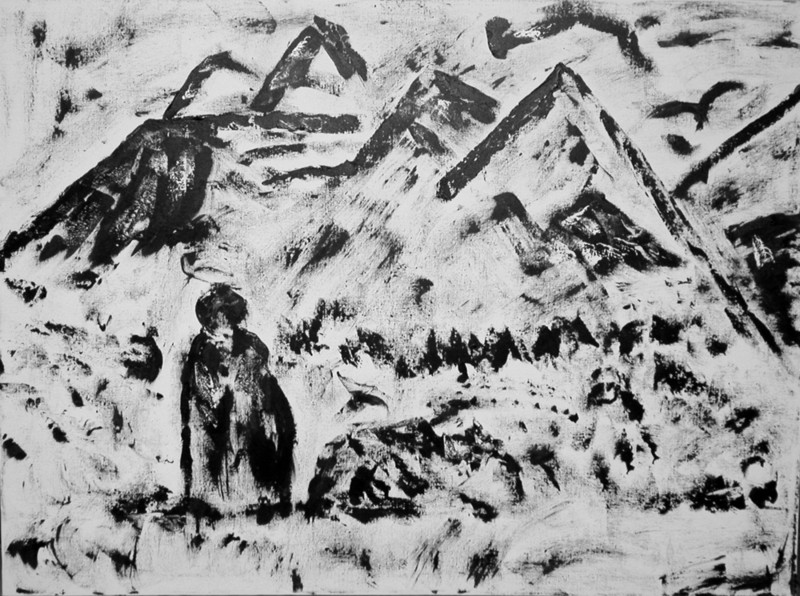 A series of black and white paintings that are closely related to a series of medical issues caused from FALLING. 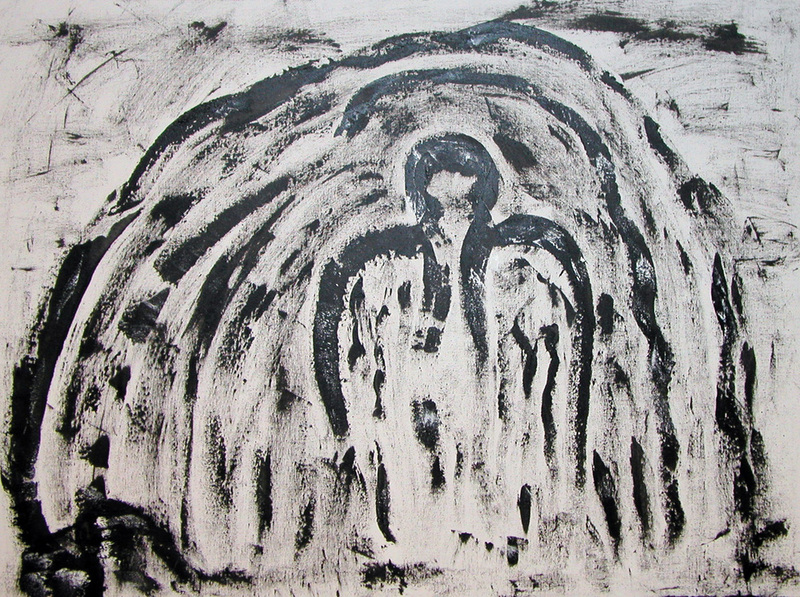 ; The first painting was The Angel, the second painting that I did was Falling. That evening I fell. 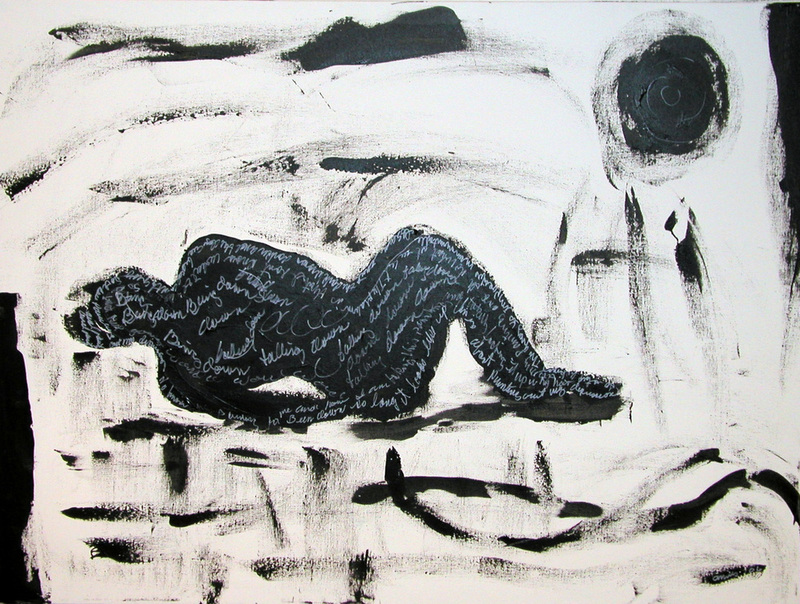 The last two paintings Resurrection and Journey were painted after my recovery.